Rahul Sharma & Kenny G’s brand new collaboration “NamasteIndia” is finally available in music & retail stores. This much awaited album is the first ever collaboration between Rahul & Kenny. But that’s not all. This is also the first time ever that the legendary saxophonist Kenny G has played a Classic Bollywood tune on an album. The popular track from a 1980’s blockbuster movie also features the original voiceovers of Amitabh Bachchan. Rahul being one of India’s premier fusion music artistes too has outdone himself on this album with some mesmerising santoor pieces to match Kenny G’s deft saxophone tones. The album contains 7 spellbinding tracks, six of which have been composed entirely by Rahul Sharma himself. NamasteIndiais a pure musical treat. It’s a fusion of genres & cultures but yet in its own way reflects the individual emotions of these 2 great artists. For music aficionados it’s a dream come true. For others, well; it will definitely be great music to your ears. Prepare your homes and your hearts, for the most loved deity of all. 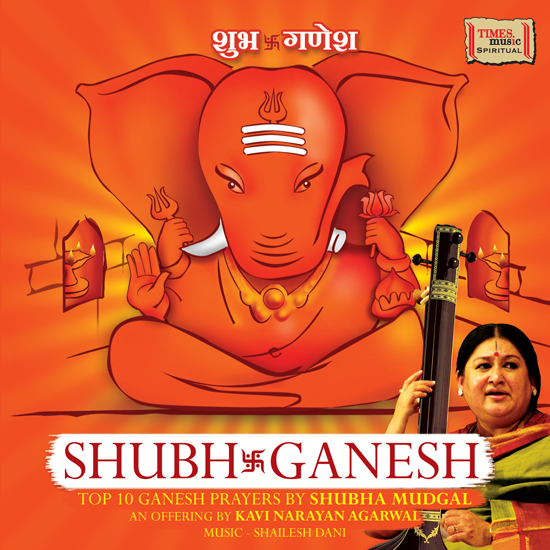 Celebrate the coming of Lord Ganesha with Times Music’s landmark album of the year – Shubh Ganesh by Shubha Mudgal. Featuring a mix of both old and new bhajans, the album is a tribute to the magnificence of Lord Ganesh. Open up to the ever giving Lord as you sing and chant along with Shubha Mudgal to this melodious masterpiece of an album. Shubh Ganesh is Shubha Mudgal’s first ever Ganesha album, but it is her inimitable rustic voice that sets it apart from all the others in the market. So as you make way for the great Lord himself, also make way for some fabulous devotional music to celebrate his arrival. You can also ask your music retailer for the Times Music Spiritual Offer and win a Free Ganesha Idol! Rarely do occasions like these happen ! 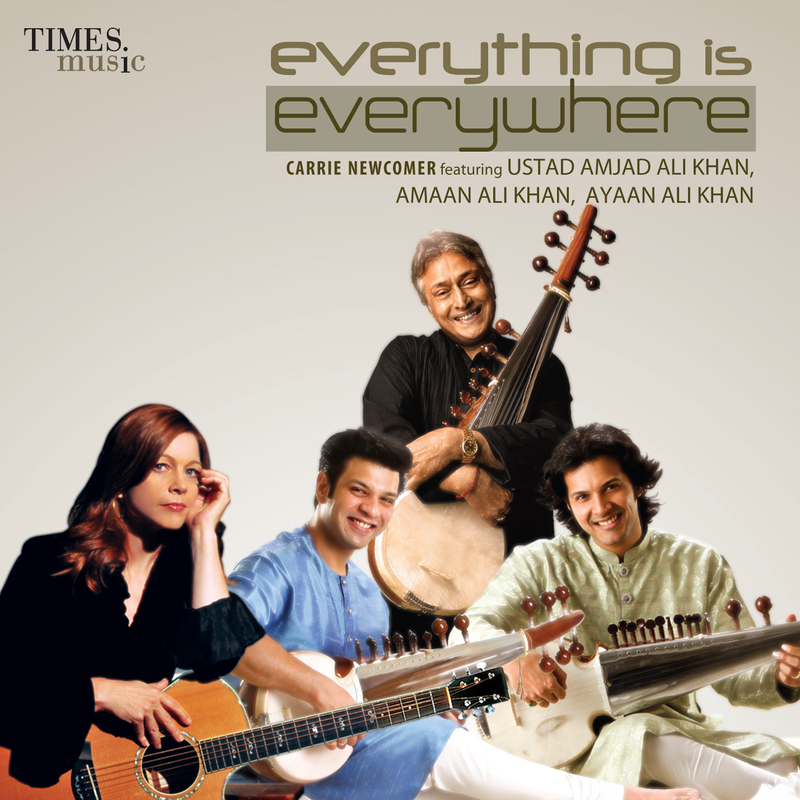 Times Music is proud to release a musical masterpiece – an album which features Ustad Amjad Ali Khan and his two sons – Amaan Ali Khan and Ayaan Ali Khan alongwith American folk singer – songwriter Carrie Newcomer – ” Everything is Everywhere ” . The legendary sarod maestro has collaborated with various international classical musicians over the past few years and even earned himself a Grammy nomination. The album is the aural embodiment of East meets West with an elegant and extraordinary bridge between Indian classical tradition and Western songwriting form. The album also features Grammy nominated percussionist Jim Brock & pianist Gary Walters. So if top quality world music is your cup of tea, Everything Is Everywhere is now available across all leading music & retail stores. 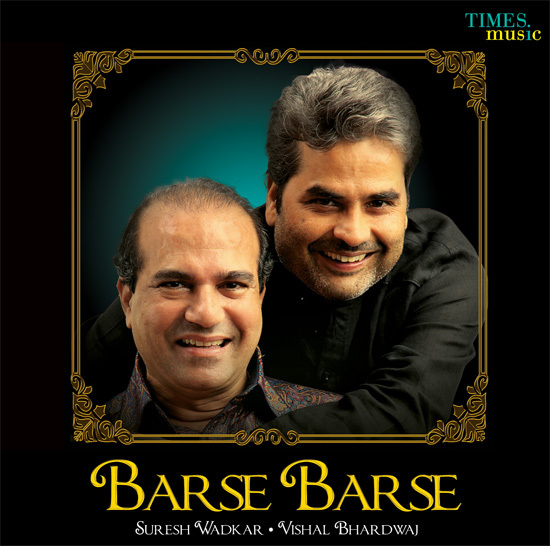 Times Music’s brand new album Barse Barse featuring the epic partnership of Vishal Bharadwaj & Suresh Wadkar is a music project that has been over 4 years in the making. The duo behind many chart busting Bollywood tracks have woven their magic together on this album to bring you some tremendously heart warming music. Free of the constraints of producing Bollywood specific music, Barse Barse is a reflection of their true musical genius. Making this album even more irresistible is the fact that some of the tracks on the album have been penned by none other than the legendary lyricist Gulzar. So if you’re in the mood for a musical weekend, Barse Barse should be your pick. It’s available at all major music, retail and online stores.